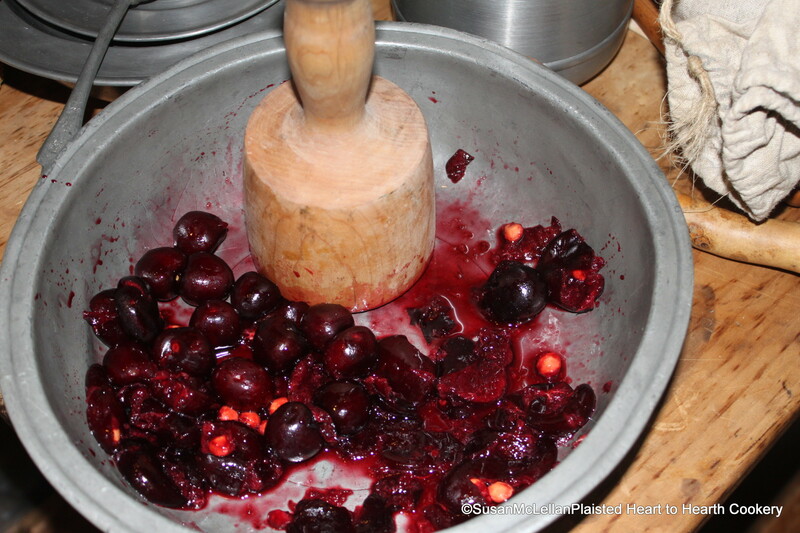 To make the receipt (recipe) Cherry Ice Cream, a half-pound of cherries with stems removed are pounded stones and all. A hand-turned wood masher is being used in a pewter basin. Visit my website at: www.hearttohearthcookery.com.